Nick Xenophon was interviewed this week on ABC Radio National about supporting the Governments Australian Building and Construction Commission (ABCC) Bills. In the interview he discusses how part of the negotiation will involve providing greater protection to sub-contractors, when builders go bust. Also being negotiated is a way to ensure the Building Code and Australian Standards are used to stop sub-standard imported materials being used in the industry. These are important issues, especially the protection of sub-contractor payments. As seen with the recent liquidation of Homestead Homes, most sub-contractors will lose money owed to them for work they have completed. The Security of Payments Act is seen as a way to ensure sub-contractors aren’t financially decimated when builders go bankrupt. Part of the issue is that sub-contractors have been made to feel they will miss out on work if they use the provisions in the existing Act. Another issue is that tradies who have been working as contractors unlicensed have no way to claim any payments. Having sub-contractors rights discussed is a great leap forward after so many tradies have been left out-of-pocket. 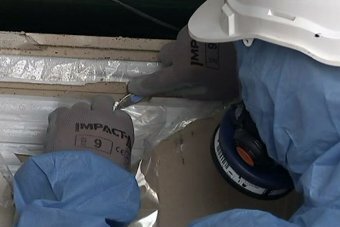 The discovery of asbestos in imported building products in Adelaide at the start of the year was described as potentially “the tip of the iceberg” by the Asbestos Safety and Eradication Agency (ASEA). In the few months since then there’s been another case in Adelaide, as well as Brisbane and Perth. Now, with the announcement of asbestos-tainted products in the $563 million Port Pirie smelter redevelopment, ASEA’s fears appear well founded. It’s unclear how many workers connected to any of these projects may have come into contact with the deadly substance, if at all. But asbestos kills silently and slowly. Any young tradies exposed today are likely to be old men before they know whether they’ve contracted an asbestos-related disease like mesothelioma. These are the cases we know of. We will never know just how much foreign asbestos is in the country undetected and will remain hidden. It shouldn’t have come to this. Imports of asbestos were banned in 2003. The fact it is here means either the laws aren’t being enforced, or they are being deliberately flouted. With the wind down in Australian manufacturing, coupled with the cheaper availability of foreign products, building companies are increasingly sourcing materials from China. In China asbestos isn’t illegal, in fact it’s accepted that “asbestos free” products can still contain up to 5 per cent chysotile or white asbestos. An Australian company might be told what they’re buying is “asbestos free” — and it is by Chinese standards — but not ours. Australian Border Force (ABF) told me about the differing standards, suggesting that educating Chinese manufacturers was a key part of stopping the flow of asbestos-contaminated building products into this country. It’s definitely a good idea, but the ABF needs to take responsibility for its failings. As senator Nick Xenophon put it: the ABF can stop asylum seeker boats, why can’t they stop the boats with asbestos? Critics say the authority has relied too heavily on “asbestos free” certifications. The ABF has conceded only a fraction of shipments were tested for asbestos at the border last year. Just over 100 actually. Some asbestos advocates and union figures are calling for mandatory testing of all building products from China by a reputable laboratory. It might not be a bad start. The ABF says each shipment undergoes a “risk assessment”, but again critics point out if that were working, there wouldn’t be this influx of asbestos. Then there’s the role of the Australian importers. ABF says it is difficult to prosecute companies that are unknowingly bringing in tainted product. Nevertheless, it’s arguable those companies need to be far more active in ensuring they are not doing so. Stronger penalties would help encourage due diligence and testing before importing so-called “asbestos free” products from China and other suspect nations. Of course it may be that some companies are knowingly importing asbestos into Australia. They should be held fully accountable. The other question is whether the Federal Government is taking the issue seriously enough. The James Hardie era and fight put up by Bernie Banton and other asbestos disease sufferers seems like a distant memory. Immigration Minister Peter Dutton has blamed the Construction Forestry Mining Energy Union (CFMEU) for forcing up building costs and driving Australian companies to “cut corners” by importing cheap Chinese materials. The point of Senator Xenophon’s “stop the asbestos boats” remark was it’s the Government that ultimately dictates the priorities of Australian policy, and it’s not giving the deadly material appropriate attention. The Asbestos Eradication and Safety Agency predicts there will be 19,400 new cases of mesothelioma in Australia by the end of the century. Legacy asbestos, which is a term used for the now extinct local industry, is the main culprit for that. It will take decades to tell whether any death or disease will be caused by this new wave of foreign asbestos. Time will tell, but of course for victims of asbestos as always, it will be too late.